Reviews that help you find, locate and learn about the four Carson City casinos. The casino pages have pictures, gaming details for slots, baccarat, blackjack, poker, craps, roulette and other table games. Carson City, Nevada is located on Highway 50 near the California boarder and about 30 miles South of Reno. 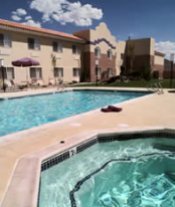 Carson City is a beautiful old town that has been completely renovated to provide a picture perfect historical town. Carson City is also a great place to golf, so ask at the casinos for stay and play packages. For more information on Carson City visit www.carson-city.nv.us. 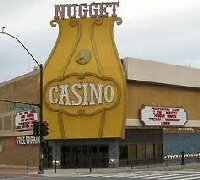 Carson City has four significant casinos and many smaller ones that only have a few slot machines. The chart below only shows the larger properties. For detailed information regarding hotels, entertainment, spas, golf packages, RV Parking or gambling games available click on the casino name.